Evaluating Australia’s Sports Diplomacy Strategy for 2015-18. The Gold Coast was the primary site for the XXI Commonwealth Games from 4-15 April 2018, the largest sporting event to be held in Australia this decade. It was an opportunity for Australia, and Queensland, to showcase our sporting talent, culture and natural landscape, as well as to promote trade and investment opportunities. Discussions were held at a number of fora, focusing on Australia’s role in sport at home, the Indo-Pacific region and the wider world. It’s no secret that sport is an integral aspect of Australian culture and lifestyle. This has been demonstrated in the recent cricket ball tampering issue that dominated the Australian news cycle for weeks. Sport matters to us because it’s part of our identity, and Australia is respected internationally for its sporting abilities. This begs the question; have we got our priorities right when it comes to how we use sport for diplomatic and development-based activities on the world stage? In 2014, the Department of Foreign Affairs and Trade (DFAT) drafted the Australian Sports Diplomacy Strategy 2015-2018. The strategy has four key objectives. DFAT headquarters in Canberra is tasked with coordinating implementation of these four key goals, including liaison with overseas posts and Australian sporting organisations. 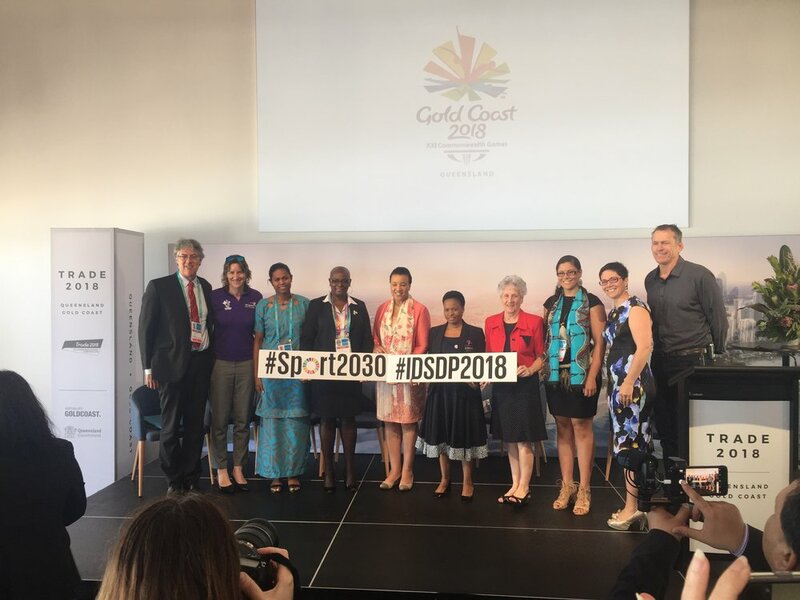 The Strategy stated that implementation would measure impact based around sports diplomacy: advocacy, media coverage, business matching, sponsorships, pro-bono support, and program exchange data collection (including measuring participation by women and girls) in combination with existing data sets. DFAT also stated that all programs would be designed and implemented to be complementary. DFAT’s Sports Diplomacy Strategy is sound, but as the 2018 end-of-timeline approaches, there is a need to review implementation of the strategy, and to identify any shortcomings, in order to inform DFAT policy makers in preparation for the next phase the Strategy. At Via Sport, we take an active role in evaluating our operations to ensure that our programs meet the objectives of the Sports Diplomacy Strategy, and to identify potential barriers to implementation and inconsistencies in operations. To date, Via Sport has implemented sports education programs aimed at teaching Australian Football to high school students in Mumbai, India and Bali, Indonesia. While our findings cannot necessarily be generalised, we do still feel they provide pertinent insights for Australia’s Sports Diplomacy and Development Strategies moving forward. In our findings, we identified two specific issues that warrant further attention. First, there is no coordinating body to facilitate cooperation between different organisations to achieve common goals. Second, there is limited access to ongoing sports programs, which acts as an inhibitor to further development of sports programs overseas. 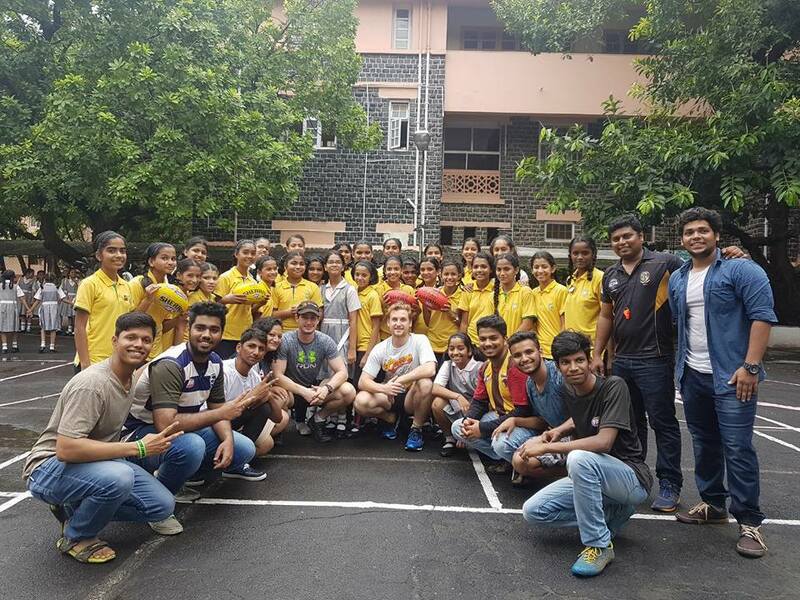 In Mumbai, Via Sport implemented Australian Football programs across three different high schools. In interviewing participants in our programs and other clubs in India, we found that the absence of an organisational framework to connect the many organisations teaching Australian Football acts a major inhibitor to progress. In addition to Via Sport, organisations included the Essendon Football Club, Australian Football India, Australian Football International and Reclink Australia. In this context, the lack of a coordinating body resulted in a disjointed approach to growing the game in India. Via Sport acted as the coordinating body over a three-month period in order to put these organisations in touch with each other, allowing for significant progress to be made in implementing a high school-based Australian Football program in a very short period of time. In Bali, Via Sport implemented Australian Football programs across eight different high schools in the Denpasar region (this followed an initial pilot program in Sulawesi, Indonesia). We were careful to conduct pre, intermediary and post surveys in order to evaluate the key determinants affecting participation rates in sport among high school students. We found that many high school students are happy to be involved in sport, and are actively pursuing sports options, including Australian Football, but the lack of access to ongoing sports programs acts as an inhibitor. Our findings suggest a requirement for ongoing, longer-term sports education programs which further nurture initial programs, and provide additional sports equipment. This, we feel is the major requirement for ongoing sports development. It includes the upskilling of trainers (Indonesian high school teachers) or potential sporting mentors, the provision of semi-structured sporting programs that encourage skill acquisition, and the provision of additional equipment as programs expand. Via Sport’s Sports Diplomacy Program complements the objectives of the New Colombo Plan program. It is our hope that our views, expressed above, contribute to the body of study on ways to enhance outcomes from DFAT’s Sports Diplomacy Strategy, in preparation for the next phase. Another issue which we believe merits consideration is DFAT financing limitations for on-the-ground implementing organisations. We understand that there is no direct fund for sports diplomacy initiatives and that funds are often redirected into supporting trade initiatives, sports for development (SFD) funds and various cultural and research institutes. These programs often favour peak sporting bodies of codes such as AFL, Cricket Australia, Hockey Australia. It is then up to these larger peak organisations to distribute the funds as they require. Australia’s Sports Diplomacy Strategy should not be confused with its economic and trade strategy or its SFD Strategy (although there are links to a certain degree). Exhibition games aim to generate a financial return through tickets sold and resulting contracts and SFD aims to make a positive contribution to development and public diplomacy outcomes through effective sports partnerships. However, sports diplomacy aims to create a positive social infrastructure through sport at a national and community level by enhancing attitudes and perception to facilitate an equal transaction of cultural exchanges by breaking down dispositions and situational factors that may prevent effective communications. With these bodies having to serve multiple objectives sports diplomacy looses its overall impact by becoming deeply correlated with multiple agendas and government outcomes. For example, applying for funds often required applying for SFD funding and funding through various other institutes. Often these funds and institutes have a wider scope of goals they must achieve. In other words, sports diplomacy programs are competing for funds against SFD programs, dance/art/music/education programs, large events and research grants ranging from every conceivable discipline. This has resulted in our organisation adopting business models and private partnerships that serve different functions and once again begin to blur specific outcomes that achieve sports diplomacy goals with other competing interests. We found this to be problematic for the longevity of our program. While we are currently focusing on AFL, we have plans to expand our sports diplomacy offerings to soccer and netball. In the case of Australian Football, our ability to access additional funding to nurture our program left us beholden to the AFL which, while seeing great potential of our program, appeared to prioritise funds for major overseas exhibition matches - that much of the academic literature suggests primarily benefit a small group of people within the given community context, and are of limited value in terms of long-term sustainability of sports diplomacy programs that aim to create wider positive social infrastructure and cultural exchange. As a community organisation operating at a grass-roots level our strengths are that our programs are cheap, mobile, quick to implement and involve community engagement. We have found that the uptake of AFL and Australia-related sports activities is highest in low socio-economic communities with higher barriers to sports facilities and education. We have also identified many stakeholders at a grassroots level that collectively could enhance Australia's Sports Diplomacy Strategy overseas. However, due to financial constraints and a lack of guiding supervision these organisations will continue to operate within Australia only. With Indonesia and India pegged as two of the fastest growing emerging economies, to ignore this demographic could be a lost opportunity for Australia in the medium to longer term. Via Sport’s program - in both India and Indonesia - has been co-designed with local bodies and personnel to ensure maximum uptake and longevity. How can we look to streamline these operations moving into the future? Moving forward, Via Sport would support an online platform which maps the activities and outcomes for sports diplomacy implementing organisations, by country and sport. This would allow for better coordination among relevant implementing organisations, enabling them to interact more effectively with each other, and providing a mechanism to directly map the progress of given initiatives on an ongoing basis. The same platform would also be able to map how dollars are spent and what type of impact those dollars are having in developing long-term programs, so that limited resources are spent efficiently. We would commend such an initiative to DFAT. From the 7th of January to the 6th of April 2018 Via Sport ran its first ‘Sports Diplomacy through AFL NINES’ workshop in Denpasar, Bali, effectively contributing to the Australian Government Sports Diplomacy Strategy 2015-2018. The Via Sport program delivered more than 144 hours of sports development clinics to over 300 Indonesian high school and primary school students each week from six schools across Bali, while successfully training three Indonesian interns. The program was funded by the Australia-Indonesia Institute (AII) under the Australian Government’s Department of Foreign Affairs and Trade (DFAT). Through the AII’s support Via Sport was able to provide ongoing access to facilities, coaches and equipment. To showcase the recent skills acquired through the program Via Sport ran an inter-school competition with more than 80 students competing. The competition was a collaboration between Via Sport, the Australian Consulate, Denpasar and the Australia-Indonesia Youth Association (AIYA). Both boys and girls were involved in the competition who showed great enthusiasm. Before the competition commenced, Via Sport Co-Founders, Rory Brown and Dimas Bala Rena gave a short speech encouraging students to adopt a fair go attitude, before further sharing their experiences on the Australia Indonesia bilateral relationship. Both spoke about their involvement in AIYA and programs like the Australia-Indonesia Youth Exchange Program (AIYEP) – an Australian and Indonesian Government initiative and the Australian Consortium for ‘In-Country’ Indonesian Studies (ACICIS). Both Rory and Dimas acknowledged how involvement in organisations like AIYA, AIYEP and ACICIS are key to better understanding and collaboration between Australian and Indonesian students and young professionals. The games officially kicked off at 9:00 am followed by a huge applause. The atmosphere was competitive after several weeks of training - as school reputation was on the line with students eager to show their skills. Australian Consul, Drew Boekel from the Australian Consulate-General – Denpasar attended the competition noting that AFL had huge potential in Indonesia, while further discussing the Australia Indonesia Bridge school program and the importance of creating grassroots people-to-people links. Despite everyone giving it their best, after several hours of competing the winners were revealed. For the girls’ division, the unrivalled SMA Taman Pendidikan 45 was the winner. The second and third place went to two separate teams from SMA Negeri 1 Denpasar. SMA Dwijendra was the winner for the boys' division after a very exciting final against the well-known sports school SMA Negeri 2. SMA Negeri 2 Denpasar, was the runner-up. And third place went to SMA Taman Pendidikan 45. The day concluded with an awards and trophy ceremony with each division’s best and fairest being announced. While for some the day ended in tears after a narrow defeat, for others in was a day of self-realisation that one day they were going play for Indonesia and represent their country at the AFL International cup in Melbourne. Voluntourism – a combination of volunteering and tourism-is an increasingly popular form of international travel that allows travelers to contribute towards sustainable development initiatives while dually exploring a new country and culture. In Bali, there are many organisations that arrange opportunities for students and young professionals to volunteer their time overseas and make an impact in local communities. Recently, however, the voluntourism industry has come under scrutiny for their ‘superficial engagement’ with problems faced by developing countries due to ‘voluntourists’ lacking the required skills required to implement systemic change. Additionally, the criticism has been made that such programs are merely photo opportunities for volunteers as opposed to an opportunity to contribute towards alleviating social issues. Recent criticisms are valid and raise the question of what purpose the voluntourism sector plays in international development initiatives. So, before you sign up to that overseas placement, make sure that you check a few things first. What are the credentials of the organisation you are looking at? It is important that the organisation you are looking at has local people that are employed within the structure of how it operates. This point is crucial. Without local experience, knowledge and networks, it is very unlikely that an initiative is able to make a systemic and ongoing difference in the communities that it serves. Knowledge transfer from international volunteers to local community members is a two-way process and each side should listen to the other so that initiatives may be delivered with both efficiency and effectiveness. No one voluntourism experience is the same. Some voluntourists are looking to contribute towards the normal day to day operations of a current program, whereas others may want to look at initiating their own cause on a more long-term basis. Keep in mind, volountourism is a great opportunity to meet like-minded people who are interested in similar areas of work as you may be. When choosing the type of initiative you want to be a part of, be mindful of the type of impact you are looking to make, how long-term that might be, and whether or not the organisation running the project you are participating on could potentially lead to future opportunities in that space. What skills do you have/ Does the organisation provide training? As skill shortage has been identified as a major problem in legitimizing the activities of the voluntourism sector, it is no surprise that many organisations have increasingly required a more identifiable skillset on behalf of volunteers. Identifying what skills you have is an important part of preparing your application and understanding what initiative best suits you to make a meaningful impact. That being said, volunteering dually provides an ample opportunity for those interested in international development to up-skill and provide valuable in-country experience. If you are in the early stage of your career or want to become involved in an initiative separate to your skillset, make sure that the organisation you go through provides training so that you can make the most of your experience, and further develop your personalised skillset.